Mastery of Love -  An epic journey of new discovery so fantastic that our natural instinct would be to block it out. DON MIGUEL RUIZ was born and raised in rural Mexico. The family anticipated that Miguel would embrace their centuries-old legacy of healing and teaching and carry forward the esoteric Toltec knowledge. Instead, distracted by modern life, Miguel chose to attend medical school and become a surgeon. In the tradition of the Toltec, a nagual guides an individual to personal freedom. Don Miguel Ruiz, a nagual from the Eagle Knight lineage, is dedicated to sharing his knowledge of the teachings of the ancient Toltec. For more than three decades, he has worked to impart this wisdom to his students through lectures, workshops, and journeys to sacred sites around the world. He lives in Oceanside, California. Publisher: Amber Allen Publishing Inc.
of freedom, true happiness, and love. ​Don Miguel Ruiz, in this absolutely incredible call. As is always true with don Miguel, the wisdom he shares in this hour is truly transformative. He speaks of his near death experience and how he came to see that nearly everything he had believed about himself and the world was not true. He came to realize that all of us are in the same predicament: we have learned to love with conditions. Most significantly, we have learned to love ourselves with conditions, and this is the root of all the conflict we see in the world today. After listening to this call, you may feel drawn to read more of don Miguel's work. He has just published a new book, The Toltec Art of Life and Death, which is highly recommended. 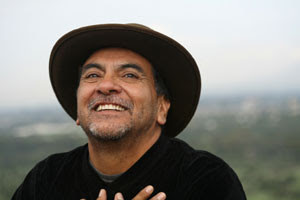 You can also check out don Miguel's website at http://www.miguelruiz.com/. "As artists, we all create the story of our life, and every story is extremely interesting. Every single human being is an artist." "At the end of the day, when I surrendered and I knew that I am not what I believed I am, it was a big relief. It was freedom." "We humans are the cells of Humanity. All together, we create Humanity. We can see that the evolution of Humanity is responding to the force of Life." "Thank you so much for having don Miguel on the call. I feel I always have to go more deeply within when I listen to this wonderful being." "It is such an honor to be present to hear Don Miguel speak. Thank you for this opportunity."